October is National Bullying Prevention Month. The counseling department has taken on the national movement to educate and raise awareness of bullying prevention at Sacred Hearts Academy. Wednesday, October 22nd, was National Unity Day, where students wear orange nationwide to show their support for national anti-bullying initiatives. 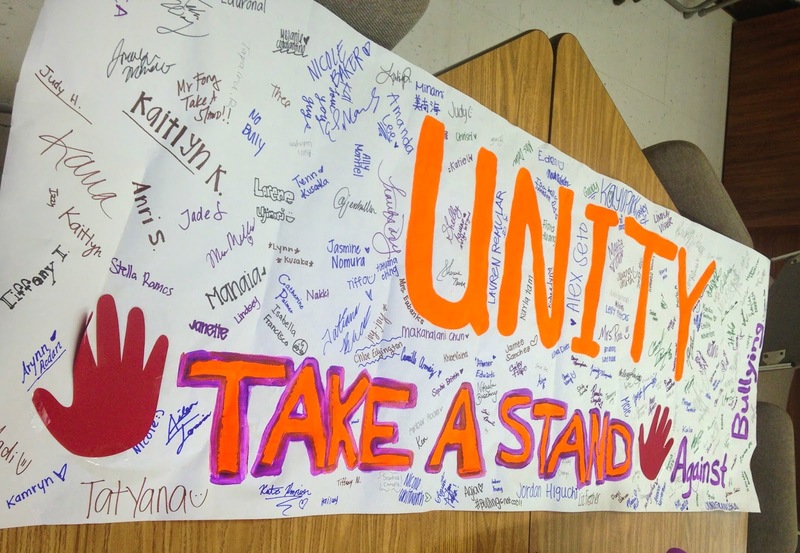 Students were challenged to “Unite Against Bullying” by pledging their names on our UNITY banner! If students took the challenge and made a commitment of creating a positive environment at school, they received an orange ribbon to wear! 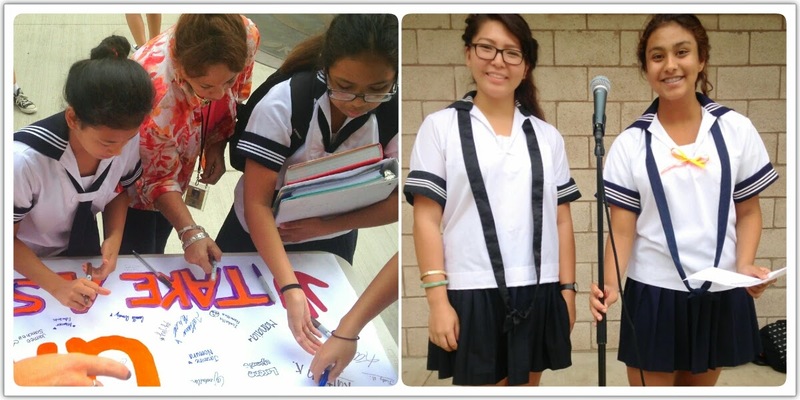 Raising awareness of National Bullying Prevention Month and Unity Day around the Sacred Hearts Academy Campus.